No one told her she couldn’t do it. No one, that is, but herself. 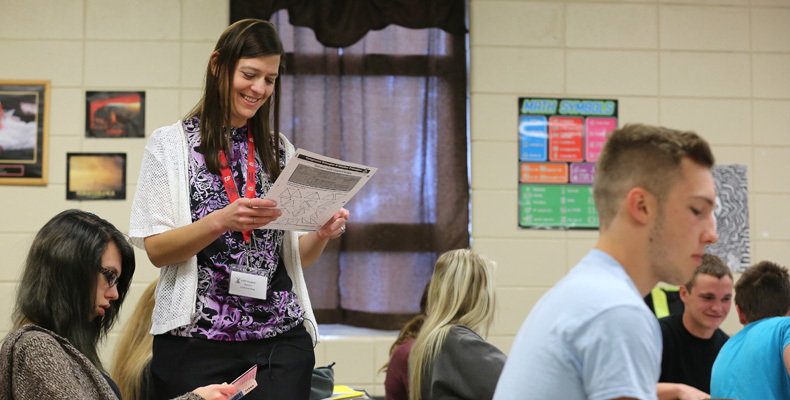 Christina King graduated from Owensville (Missouri) High School in 1997, and her path was clear — and it didn’t include college. Eighteen years later, that thought has been turned upside down, and King is set to become a December 2015 graduate of Missouri S&T with a bachelor’s degree in mathematics. Before coming to Missouri S&T, King’s path was just as she envisioned it. She married her high school sweetheart, Jason. She had two girls, Kaitlynn and Cassidy. Before she knew it, King’s children were school age. And with Jason gone for a week at a time working as a welder on railroad bridges, King needed something to do. When her youngest daughter Cassidy, now 15, was in kindergarten, King volunteered at the girls’ school. The seed was planted for her college career to come.